Our goal is to increase the brand awareness and reputation of your brand online. Furthermore, there are significant opportunities to attract new prospects, customers, and revenue by marketing your products via social media. The world has drastically changed since the start of selling products online. Facebook and Twitter have taken the online conversation by storm. Instagram puts together a picturesque view into a friend or stranger’s life. Pinterest has allowed millions of people to share their common interests by simply posting a picture to a bulletin board. And then you have LinkedIn, Google+, SnapChat, Clipix, and many more. Act Bold will properly leverage all social platforms to build community, conversation, and relationships with your target audience. Our social team will focus on building communities and relationships around your products. Increasing brand awareness, exposure and engagement are very important when growing your business online. Our team will conduct audience and industry research to analyze current demographics that must be targeted. Act Bold will take different angles to measure user engagement. The metrics include Coverage (impressions), Unique Reach, Engagement rate based off likes/comments, and users who have brand-related items appear on their timeline. Listen Audience and Influencer analysis suggests which types of customers to target and market. Social and industry research is also completed to highlight which social platforms you should build a community with. Respond Targeting the correct audience with the right message is implemented after ample research. Act Bold will use a variety of techniques, such as lookalike targeting, interest targeting, and behavior targeting. Share Compelling copy and images that are targeted towards a specific audience are crucial to a high-performance Social Advertising and Engagement campaign. Well written ads and beautiful images have benefits such as increased CTR, better quality scores, lower CPA, and increase in engagement and brand exposure. Shape Act Bold will create original and unique content that will shape the conversation. Engagement will consist of comments, posts, likes, shares, tweets, and pins. The purpose of creating unique, shareable content is to expand the digital footprint leading back to your company. 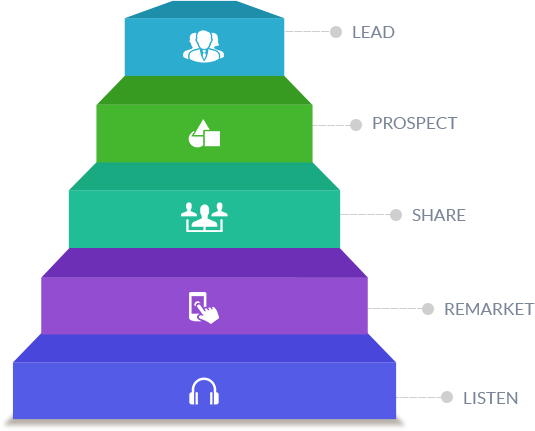 Lead Community and relationship building is essential to a living, breathing social campaign. A socially active brand will allow your company to drive the conversation and, ultimately, reach your current and prospective customers. Act Bold will analyze and research the most profitable groups and communities looking to engage with and buy your products. Social engagement and paid advertising will create a positive brand image and increase your bottom-line.